The C. Bechstein Classic 118 upright piano enthuses all supporters of clear classical forms, its proportions are perfect, its clean lines are timeless, modern and elegant. An upright piano of superlatives in sound and technique. The C. Bechstein upright piano Classic 118 makes a strong statement with understatement: a piano with very fine tone and touch. Effortlessness that inspires professional and beginner alike with the ideal of a mature technology. A harmonious architecture inside and out. The generous sonority of this medium-height piano is also suited according to international product comparison tests to Romantic and post-Romantic periods. 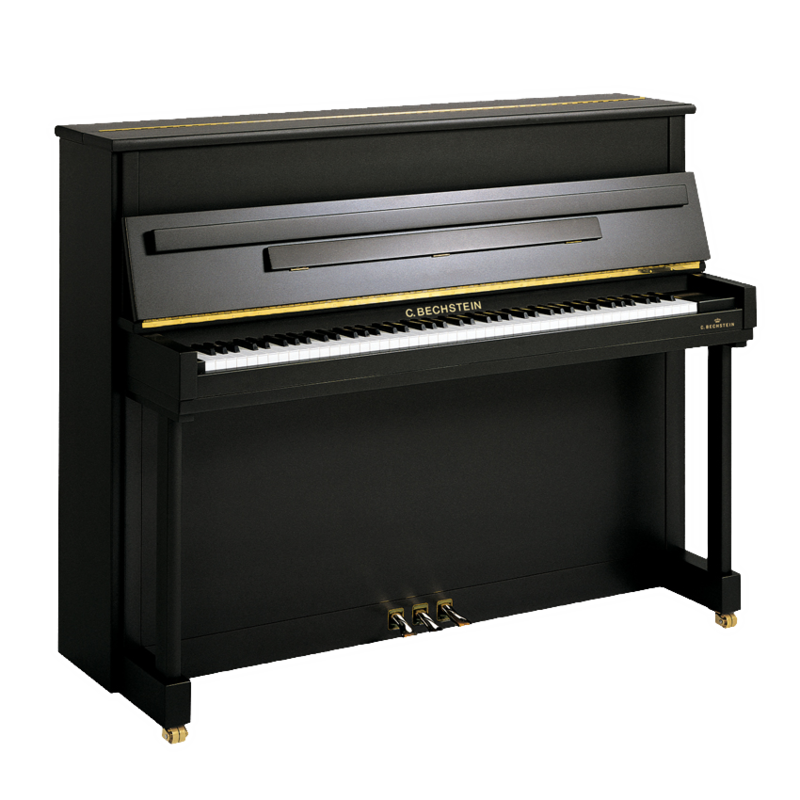 C. Bechstein upright pianos – including the C. Bechstein upright piano Claslsic 118 – integrates a lot of C. Bechstein grand piano construction principles, which accounts for their superiority. This high school of piano-making has been from the beginning market leader in the premium segment. The German C.Bechstein factory takes a lot of time for each of these masterpieces. A look at our production facility shows just how much precious attention to detail is involved in such a long-lived piano. Ask your C. Bechstein dealer about the DVDs on the C. Bechstein factory. For whoever sees the production of the C. Bechstein upright piano Classic 118 at the manufacturing site will understand why the C. Bechstein pianos belong to the best uprights in the world. We can also deliver the C. Bechstein upright piano Classic 118 with the C. Bechstein Vario System installed so that you can practice any time, day or night, without being overheard. Characteristics C. Bechstein upright Classic 118 – premium piano with medium height.